If you have a poor credit score and need the flexibility a credit card provides, a prepaid card might be right for you. Prepaid (also know as debit) cards require no credit check for approval, but they do require that the cardholder pay in advance before charging anything to the card. Below is a summary table of our recommended offers, with links to each card's secure online signup. In our increasingly cashless society, credit cards have practically become a necessity. But for folks with poor credit, or for those just beginning to establish credit, getting approved for a credit card can be a challenge. Luckily, there is an alternative that just about anyone can take advantage of. I’m talking, of course, about prepaid cards. A prepaid card allows the holder to reap many of the benefits of having a credit card, such as using it to make purchases, pay bills online, and even to withdraw cash at an ATM. Of course, there are also some limitations to prepaid cards. To help you decide whether a prepaid card is a good choice for you, here are some things you need to know. Although most prepaid cards have the logo of a major card issuer such as Visa, Mastercard, American Express or Discover printed on them, they are not credit cards. In fact, they are actually more like a debit card than a credit card. A prepaid card can be purchased with a set amount of monetary value on it, or it can be electronically loaded with money that you deposit onto it. In this way, when you use a prepaid card to make a purchase or to pay your bills online, you are actually spending your own money to do it. Using a prepaid card can make a lot of sense for many people — especially those for whom a regular banking relationship is not practical or possible. That’s because carrying a prepaid card is a lot safer than carrying cash, and a prepaid card comes with many of the same purchase protection and security benefits of credit cards, along with federal deposit insurance protection. Finally, prepaid cards are generally accepted for payments and purchases anywhere that accepts debit cards. The two largest payment networks in the world are Visa and Mastercard, with 56% of all transactions being handled by Visa and 26% going to Mastercard. By comparison, American Express was just over 3% and Discover registered less than 1% of all transactions. Because of their dominance in domestic and international card purchases, Visa and Mastercard are the most widely accepted of all the issuer networks. This goes for credit cards, debit cards, and, of course, prepaid cards. One thing to note is that there are many different types of prepaid cards, with certain restrictions and limitations placed on some of them. You should do your research carefully to find the one that’s right for your needs. Visa alone offers as many as 30 different prepaid cards, some with features like cash back, no-fee ATM withdrawals, and direct deposit of payroll or benefit checks to your card. Both Visa and Mastercard have prepaid cards to suit almost any need. Prepaid cards offer some of the best accessibility and convenience of any type of transaction purchase card. They can be purchased online directly through the card issuers or can be bought at many retail locations nationwide. Large chains such as Walmart, Walgreens Drug Stores, and many grocery stores all sell prepaid cards. Some retailers even have store branded prepaid cards that allow you to earn store discounts and cash back when you use your card to make purchases there. If you want to order a prepaid card online, all of the major card issuers have online applications, and allow you to choose from a wide range of prepaid card options. Applying online for a prepaid card is easy, and requires no banking information to get started. Shopping for a prepaid card online gives you the advantage of comparing features and benefits, as well as determining any fees involved. A prepaid card is not like a secured credit card and does nothing to build your credit. However, prepaid cards also do not negatively impact your credit score, since the money you’re spending is not borrowed, but your own. Many people use prepaid cards as an alternative to a checking account to avoid overdraft fees and interest charges. 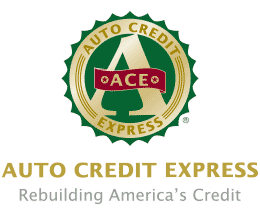 If you are looking to build or to improve your credit score, however, a prepaid card is not the way to do it. For information on how to build or rebuild your credit using a card, read some of the articles we have on secured credit cards. When researching which prepaid card might be right for you, take into account that many of them come with fees. Some cards charge for ATM withdrawals, some charge a monthly maintenance fee, and some even charge a fee to put more money onto your card. However, the good news is that many of them don’t charge fees. Some prepaid cards simply require you to maintain a certain balance on the card or to have a direct deposit — either payroll or some form of regular benefit payments — associated with them. If you find a card like this that will work for you, this can be a no-fee or essentially “free” prepaid card. As we mentioned above, there are some prepaid cards that don’t charge a fee if you meet certain minimum balance limits or direct deposit requirements. However, many prepaid cards that allow you to reload or put more money onto your card will often charge a small fee to do so. That’s because these cards can then be used in place of a checking account. And just as many banks charge fees for checking accounts, they will typically charge a fee to let you use your prepaid card in this way. Fees are usually fairly small — often only $2 per reload transaction. As we mentioned, though, there are some cards that don’t charge fees at all, even for reloading. If it sounds like a prepaid card might meet your needs, you can check out some of our favorite options above. And remember, whichever prepaid card you choose, be sure to read the fine print of the card agreement. Prepaid cards do not fall under the Credit Card Accountability Responsibility and Disclosure Act of 2009 (CARD Act) as credit cards do, so they aren’t afforded the same protections provided to consumers under the law. Still, prepaid cards can be a great alternative to traditional banking, and they currently meet the needs of millions of Americans.